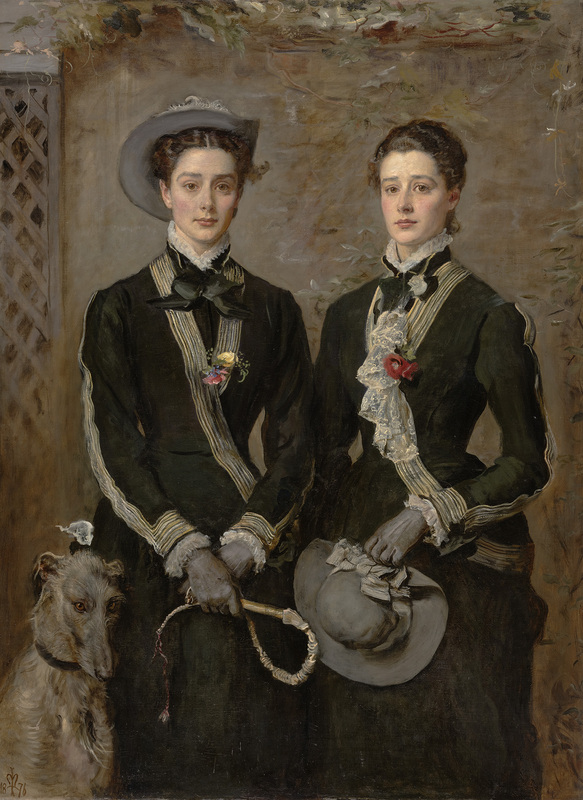 In 2016 we were very fortunate to be awarded funding from the Understanding British Portraits Professional Partnership Fellowship to research The Twins by John Everett Millais and create a learning resource for young people. 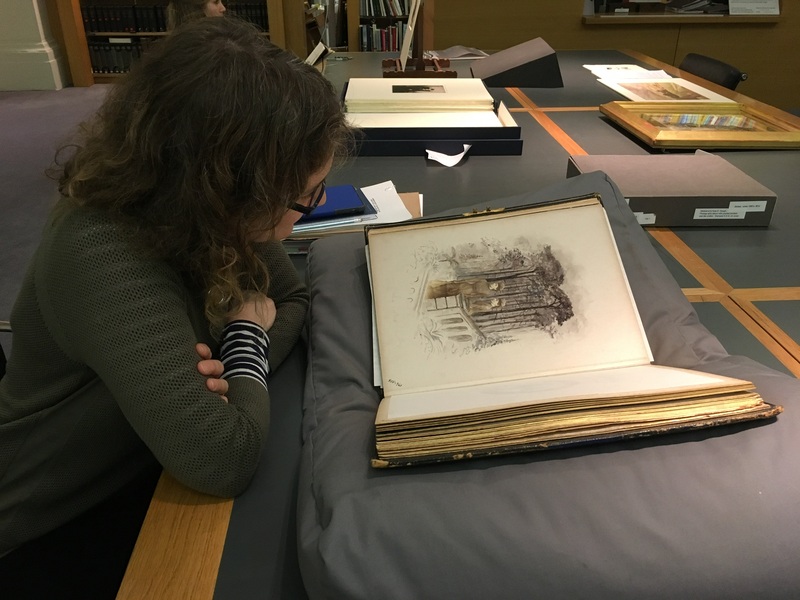 We hoped that our project would help to reveal more about the role of women in the Victorian age, whose stories have for many years only been told in relation to the important men around them. 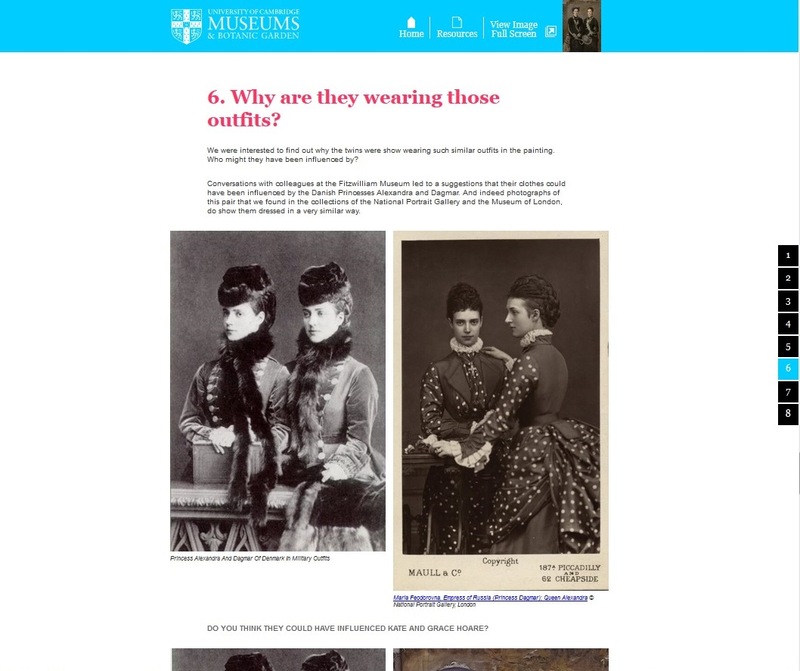 This blog post describes how we used our findings to create a digital resource to support A-Level students to develop their research skills and learn how to look at collections. 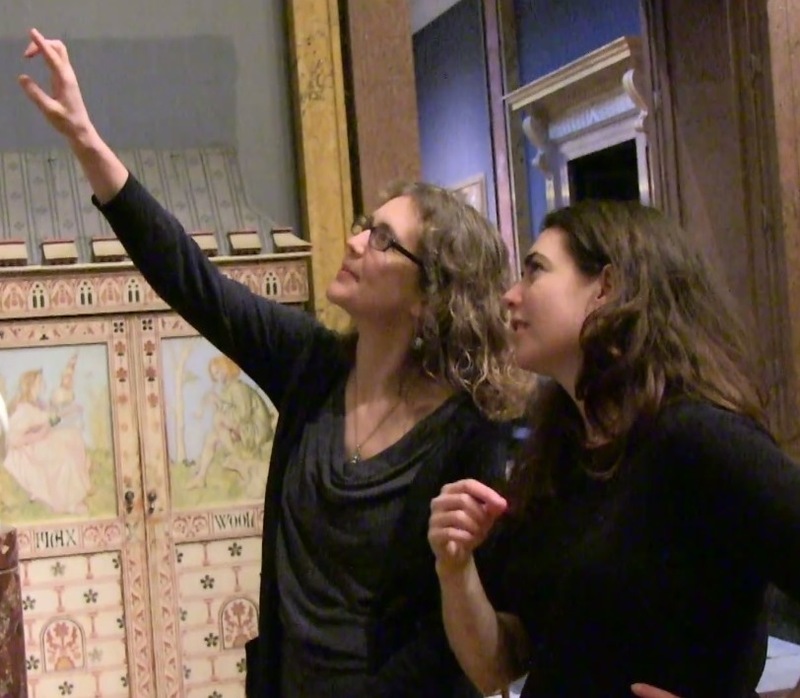 The Twins is one of the most popular paintings in The Fitzwilliam Museum and many thousands of visitors enjoy looking at it and talking about it every year. 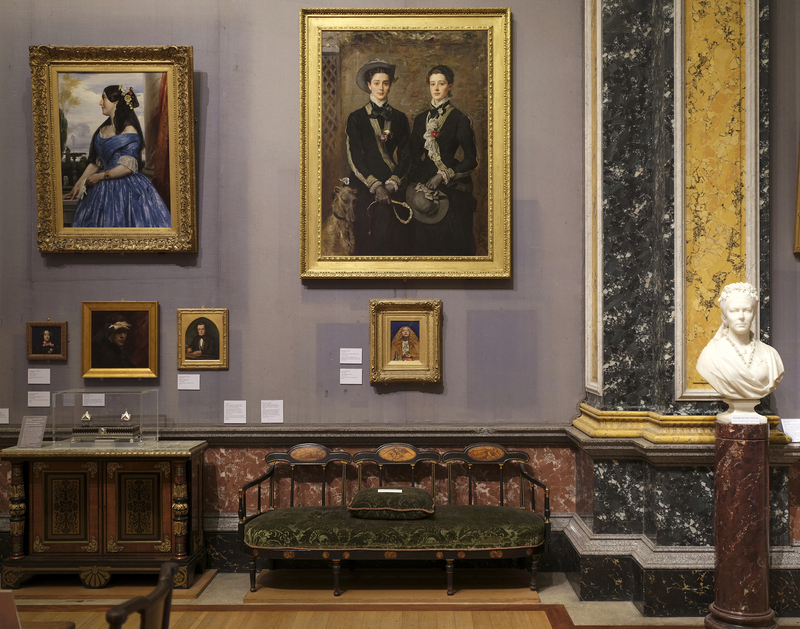 There are several other paintings in the museum by Millais, and his life and works have been extensively researched and documented. In contrast to this, when we started the project we didn’t know anything about the female sitters other than their names. We were interested in finding out more about them: who they were and what happened to them after the painting was made. We then planned to use our own research journey as inspiration for young people embarking on their own research projects. Our research connected us with living relatives in New Zealand and Fuji, enabling us to trace the paths of Kate and Grace, the sitters’, lives. Our most exciting find was Kate Gough’s extraordinary album of photo-collage at the V&A in London (below). You can find out more about what we discovered in the online resource we created. In our first meeting we brought together a multidisciplinary team of UCM colleagues from learning, marketing, IT, the image library and curatorial to define the audience for the resource and work out what our key messages might be. For the second meeting the group worked together to understand more about the audience and how we might make the resource relevant and accessible, considering whether students would access the resource independently through social media channels and apps, or whether it would be shared through schools and colleges. 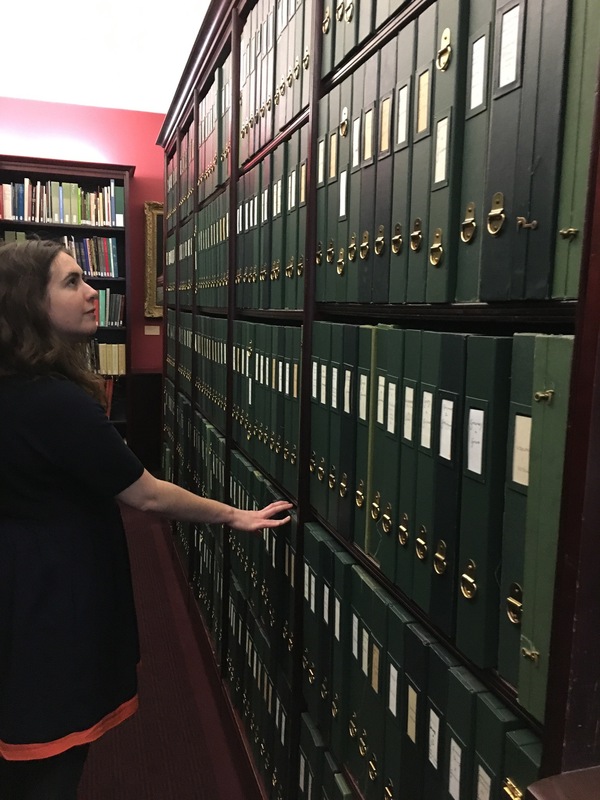 Each member of the group undertook independent research into a variety of digital resources that are used by a variety of audiences, and used that as a starting point to generate ideas for your intended audience. This was the really fun bit! We worked in groups to build paper prototypes for the resource based on our conversations and ideas. We reviewed the different prototypes, balancing ideas and audience engagement with the practicalities of use within schools, and came up with two final prototypes. The next step was to test and evaluate each of these prototypes with a group of A-Level teachers to help us to create a design brief. The feedback was valuable to ensure that the resource we were creating were relevant and useful to the students and teachers. Once we had recruited a web designer we then returned to stage 4 to build a digital version of our original prototype incorporating feedback from Stage 5. We then joined the designers to share the digital prototype to gather further feedback on functionality. Following the teacher feedback we made changes to the site and repeated the process of designing and testing and making. We continued to consult with UCM colleagues in marketing, IT, the image library and curatorial to feed into the final resource, to share progress and see how initial ideas had developed. 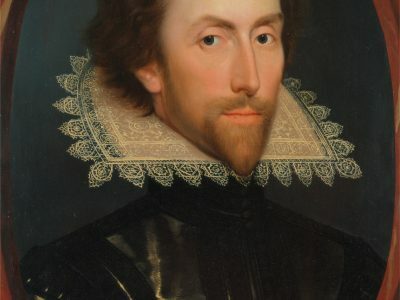 It was important to ensure that it met the needs of the audience, A-level students and teachers, and that it could be hosted properly on the museums website. We are now very excited to be able to share the resource with teachers and colleagues and look forward to receiving feedback from them. The project helped us to think about how we can share the research that takes place across the UCM, and highlight the process to young people interested in embarking on an investigation of their own. We have started work on three more projects to add to the site.